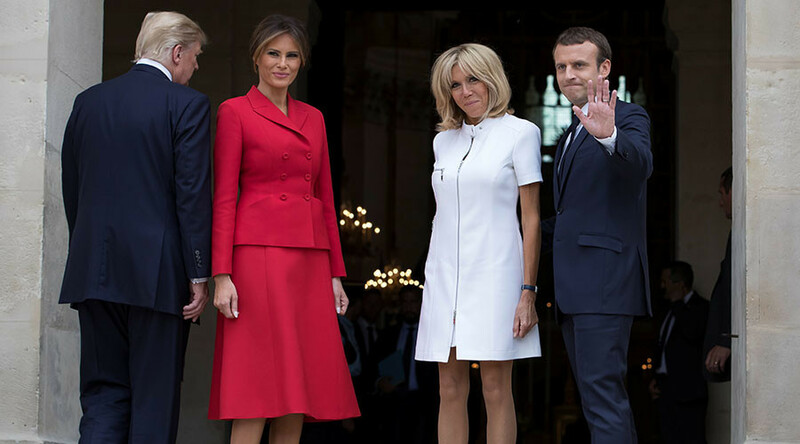 Brigitte Macron is being ridiculed online after refusing to follow protocol by standing behind her husband, French president Emmanuel, at official events. Some commentators have even started calling her the ‘Queen of France’. Not content with taking a backseat role, critics believe Mrs Macron sees herself as more of a ‘First Lady’ than simply the president's wife. 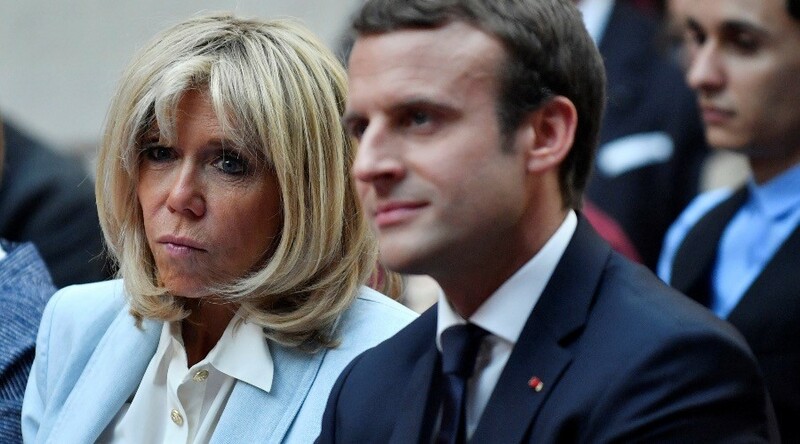 The 64-year-old, who met her husband while she was his secondary school teacher, is reportedly seeking to explore ways to expand her influence at the Elysée palace. “A woman does not have to be behind,” she said in an interview with RTL, seemingly in reference to her habit of standing beside her husband at official events, rather than behind him as protocol requires. 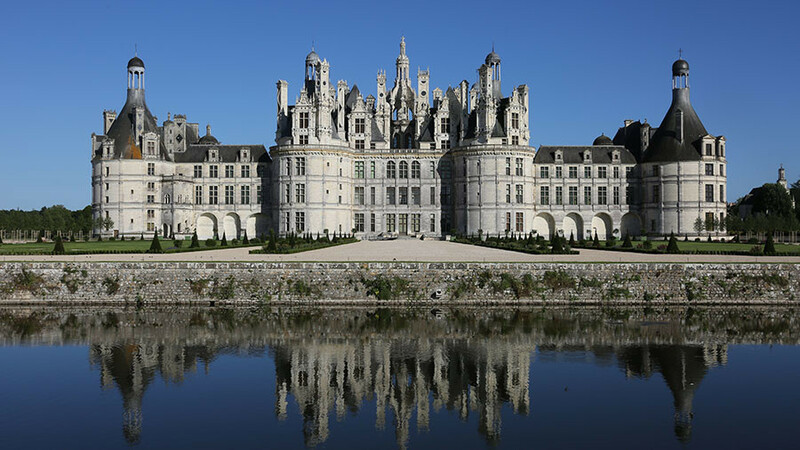 Her stance has provoked ridicule online with some accusing her of acting like the “Queen of France,” while others compared her to pre-revolutionary monarch Marie Antoinette. For her part, Mrs Macron has no intention of bowing to pressure for her to follow protocol. 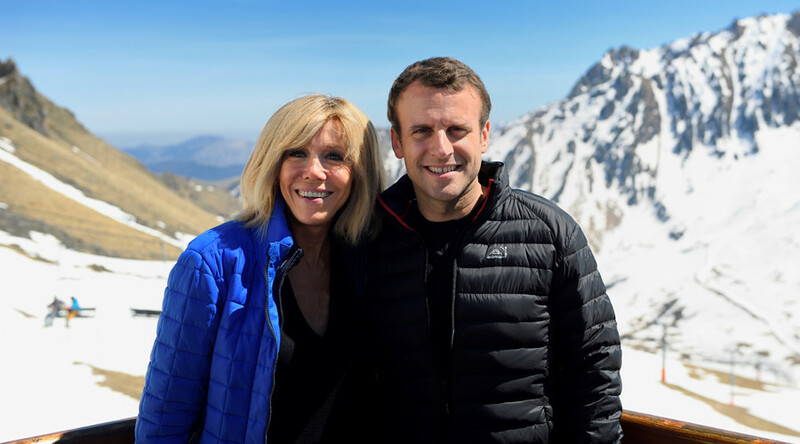 Brigitte Macron is a divisive figure in France. She has been applauded for raising the popularity of her husband, whose approval ratings have risen dramatically in recent weeks. She also has a loyal following among women around her age who are thought to see her as a role model, reportedly inundating her with letters thanking her for proving that seduction does not end with old age. However, not everyone is a fan. A petition during the summer to stop her being afforded a formal position as the country's First Lady garnered nearly 320,000 signatures.